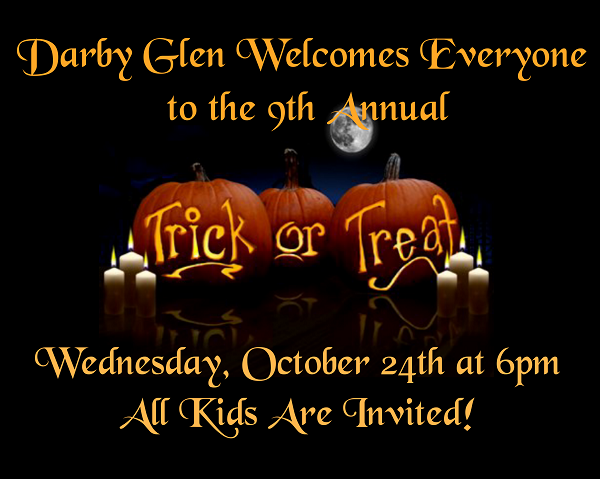 Darby Glenn welcomes all friends and family to bring their little ones out for a night of "trick or treating" with our residents and staff! Join us Wednesday, October 24th at 6pm. All are welcome!